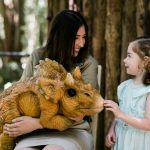 Dinosaur Valley is now open at Scenic World in the Blue Mountains, bringing the ancient rainforest to life with prehistoric dinosaurs, daily interactive events and after-hours activities until January 28. Accessed by the world’s steepest railway, visitors can meet more than 20 animatronic dinosaurs up close in their natural environment and learn more about these fascinating creatures from friendly Dinosaur Rangers. Ringo the Raptor and Barbara the baby triceratops will make daily guest appearances during interactive ‘Meet and Roar’ events and the kids will enjoy interacting with their favourite dinosaurs with a free Junior Ranger Trail Guide. A range of exclusive accommodation packages are also available at leading hotels and resorts, providing the perfect excuse to escape the city for a weekend getaway. Scenic World’s Events Manager Alana Silk said Dinosaur Valley was a big hit with families and couples looking to experience nature in new ways that leave a lasting impact this summer. Dinosaurs have moved in for the summer, with a range of dino-themed retail specials and food & beverage options on the menu. The kids can also make the most of their adventure with a Junior Ranger Pack, complete with essentials such as binoculars, a water bottle, canvas bag and a Dinosaur Valley neck tie. Guests will also learn about local flora and fauna, with more than 20 knowledgeable Dinosaur Rangers on hand to share fun facts about the World Heritage-listed Blue Mountains. 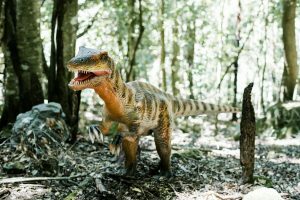 Dinosaur Valley is free with entry to Scenic World and online earlybird specials apply for entry before 10am during the school holidays. Tickets are priced from $39 for adults, $21 for children under 14 years and $99 for a family pass including entry for two adults and up to five children. 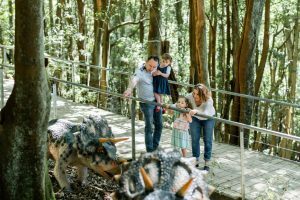 Visitors can also upgrade to a Scenic World Annual Pass for unlimited entry to annual events including Sculpture at Scenic World which will be held from April 12 – May 12, 2019.